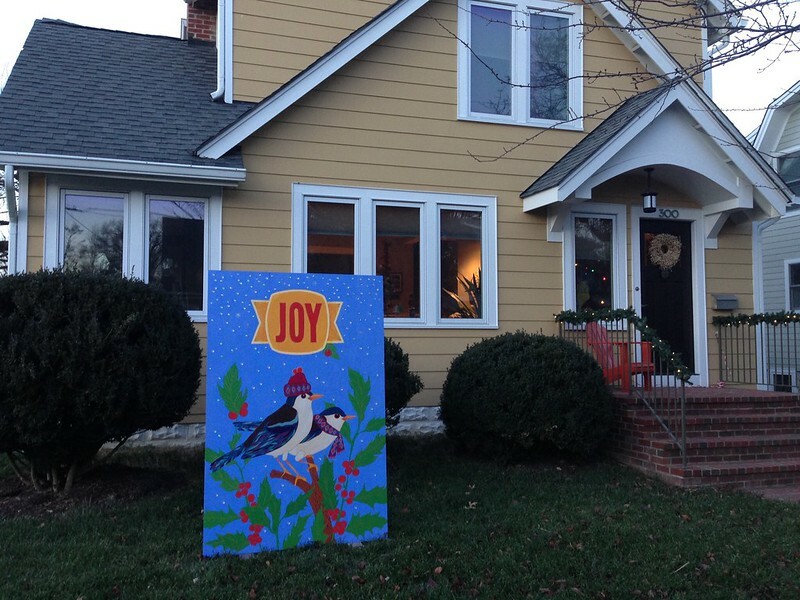 Yard Cards: We discovered the hand-painted yard cards on Del Ray’s “Christmas Card Lane” (aka Luray Ave.) last year. They are borrowed from a tradition in Michigan and can be viewed by day and night. 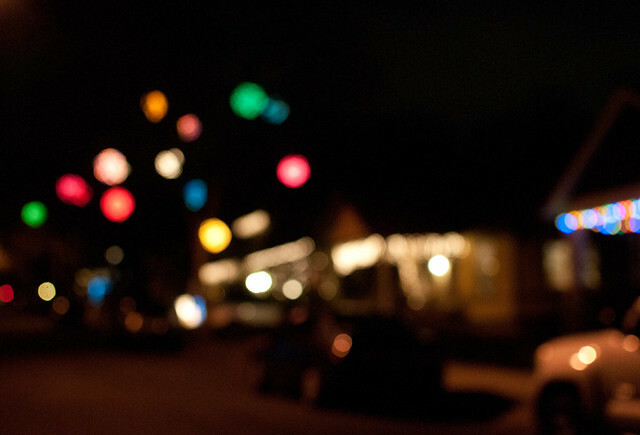 Christmas Orbs: If you haven’t seen the orbs on Rosecrest Ave., make plans to drive by at night sometime this month. They are nothing short of magical. 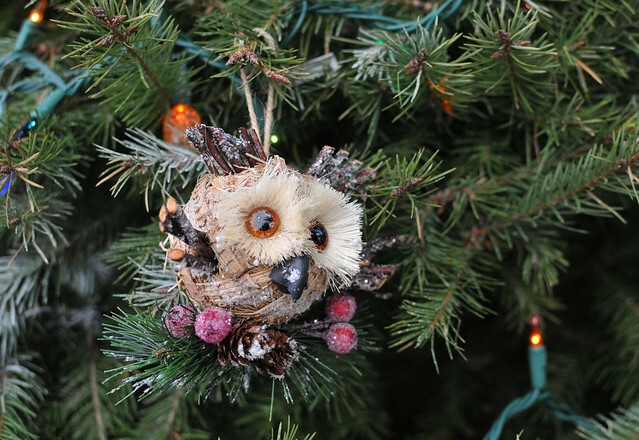 Follow these step-by-step instructions to make your own. 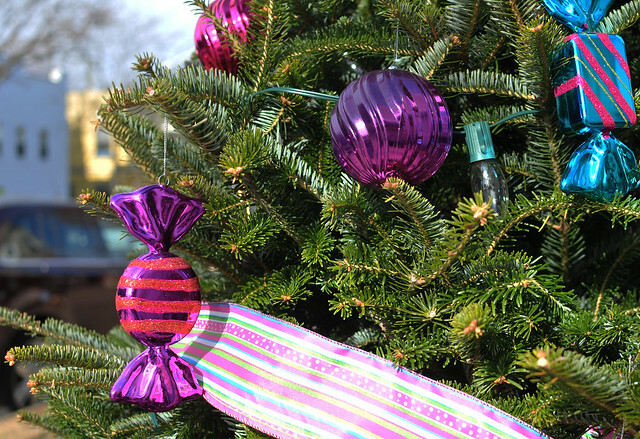 Del Ray Business Association Holiday Trees: Starting this weekend, there will be a tree on every block along Mt Vernon Avenue decorated by a local non-profit and sponsored by a local business. Each tree has a theme and residents get to vote on their favorite. 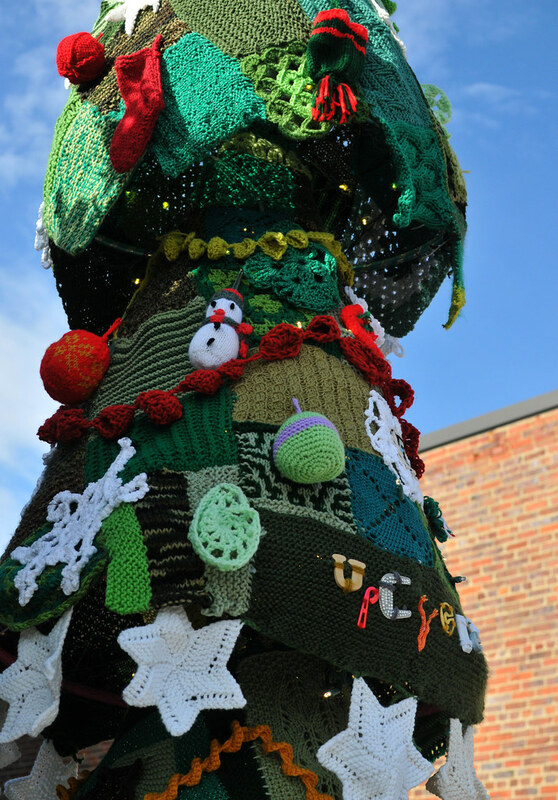 We still hold a special place in our hearts for the yarn-bombed tree from two years ago. 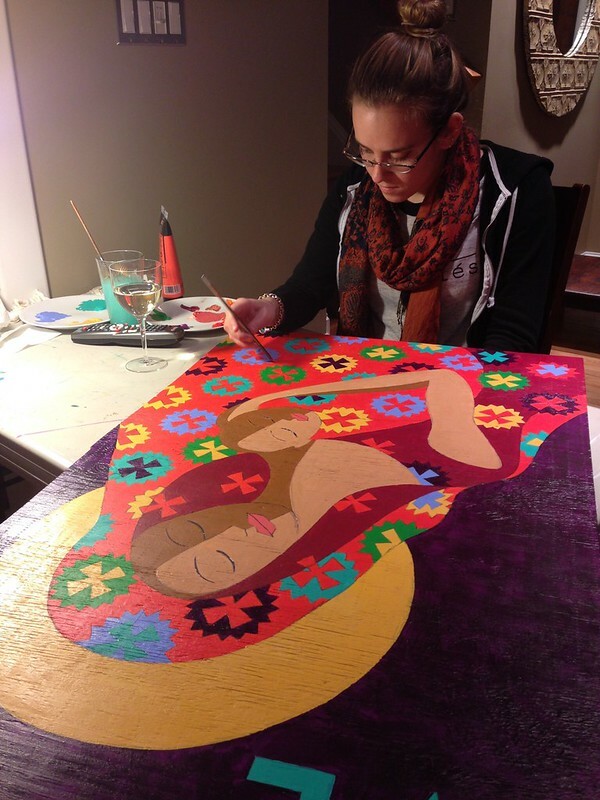 Window Murals: As we shared earlier this week, new this year, businesses in Del Ray will have winter wonderland-themed murals in their windows. 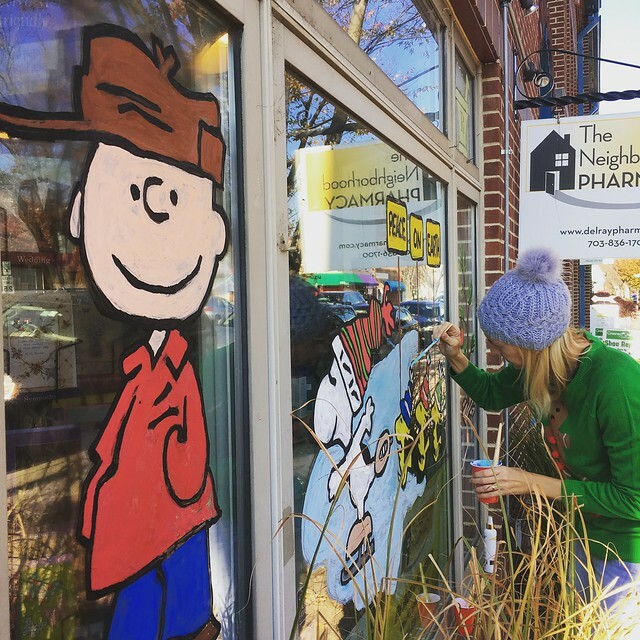 Leslie and Candi painted the darling Peanuts window at the Neighborhood Pharmacy and more will be popping up in the coming weeks. And of course, this Saturday night, the season officially kicks off with the Del Ray Holiday Tree Lighting at the Pat Miller Neighborhood Square. 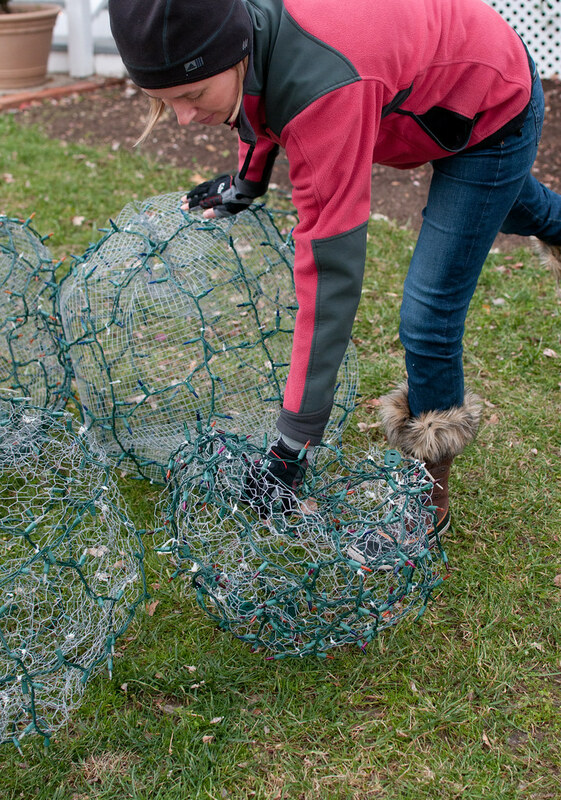 If you have a special outdoor decor project or activity during the season that you’d like to share on this site, we’d love to talk to you. Please contact us at info@diydelray.com.